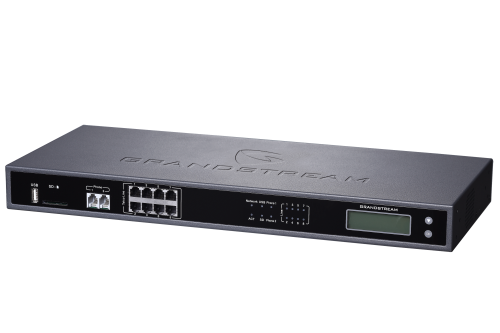 The Grandstream UCM6208 is an 8 line (PSTN/FXO) IP-PBX phone system with support for 50 VoIP / SIP Trunks for growing business. It also allows for up to 800 users/extensions and 100 concurrent calls. Server rack-mount form factor system for larger small business, medium to large corporate telecommunications. 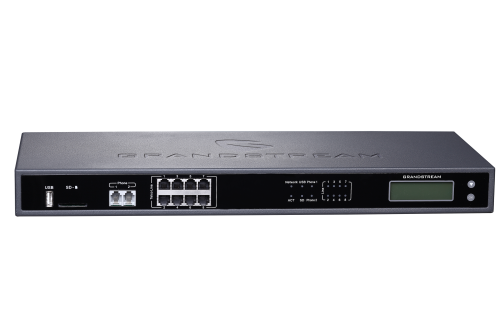 Like all GrandStream PBX/UCM systems, this 8 Analog line UCM6208 phone system includes robust admin features such as: remote management, multi-language features, call reporting, call distribution, auto-amin/IVR menus, SIP Video endpoint calling (with GrandStream capable phones), Gigabyte network ports and much more! Along with regular POTS (Plain old telephone line service) ports, you can increase line capacity using VoIP Trunk phone lines (up to 50 trunks) and save on all your telecommunication costs. Whether you're in the boardroom, in the office or on the go, or a remote office worker - this system has enough processing power to handle all your calling needs! UCM6208 supports up to 800 users and 100 concurrent calls. 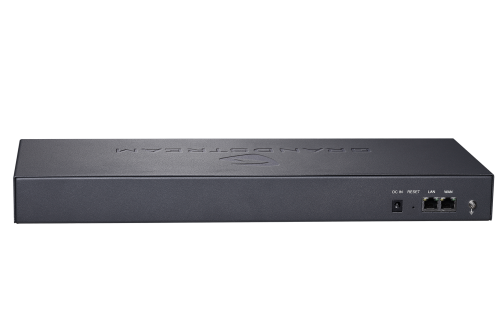 Integrated 8 PSTN trunk FXO ports, 2 analog telephone FXS ports with lifeline capability and up to 50 SIP trunk accounts. 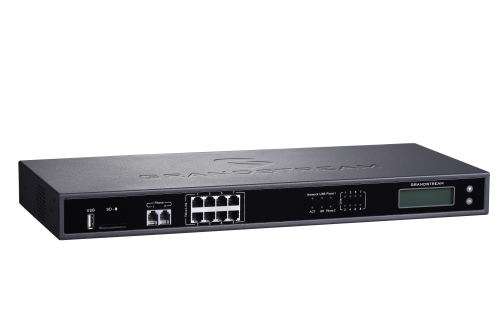 Gigabit network ports with Integrates PoE, USB, SD card. Strongest possible security protection using SRTP, TLS and HTTPS encyrption. Dual Gigabit ports with PoE+ integration. Multi-Language support features for handling callers in different languages, queue or to different language departments. Multi-Admin / Super Admin login and maintenace functions using a webGUI interface. No software to install on PCs! Call Center - Includes: Live Call Recording, Reporting Statistics, multiple call queue methods, automated call back, Agent Management, Agent monitoring: whisper / listen / call barge. Supports VoIP (Voice-Over-IP) SIP Trunks and Analog to VoIP Gateway for telephone lines for expansion. Exceed expectations with the Grandstream GAC2500 Audio Conference phone. Boardroom meetings, conference rooms and business functions will never be the same.